*We were in no rush to depart our accommodations this morning, so the morning was very relaxing. Because we were unsure of what the roads may be like, we wanted to leave by around 10:30 a.m. so we would have plenty of light for the drive home. *We spent some time tidying up around the place, and we were packed up and ready to head out around 10:30 a.m. as we planned. *It was lightly snowing in Nelson as we departed. A few miles out of town, we saw a car that had just slid off the road. But all in all, the roads were not bad from Nelson to Kellogg. 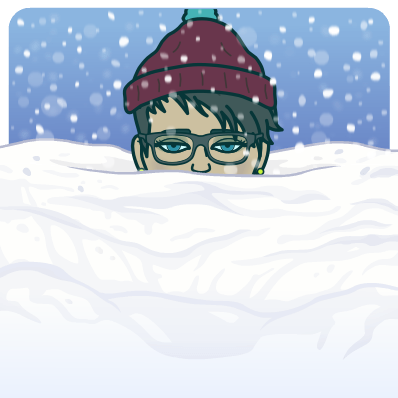 I was actually surprised that there wasn’t more snow when we arrived home, because I kept seeing postings on Facebook of blowing and falling snow in the Silver Valley. *We pulled into the garage just about 3 p.m. exactly. It was nice to see Sadie, Toby, Benjamin and Clark, and they seemed excited to see us, too. Soon the snow started falling and the wind started blowing here in Kellogg for most of the afternoon. *Bill said he would have dinner prepared for us if we would like to come over, so Paul and I ventured out around 6 p.m. and had a wonderful chicken dinner that Bill had prepared, and enjoyed sharing about our trip with Bill and Debbie. Debbie and I also talked about knitting, and Watergate and the four of us talked about the play Paul is working on up at Sixth Street, and how it was going. *Paul and I returned home and before long, it was time to head for bed. We both took a personal day tomorrow as well, so we have one more day of “vacation” before heading back to work on Tuesday. *For my friends in the Silver Valley, if you want a close and fun place to go for the weekend, that is not too far away, I highly recommend Nelson. It only takes about 4 hours to get there, there is a lot to do, and it is beautiful.